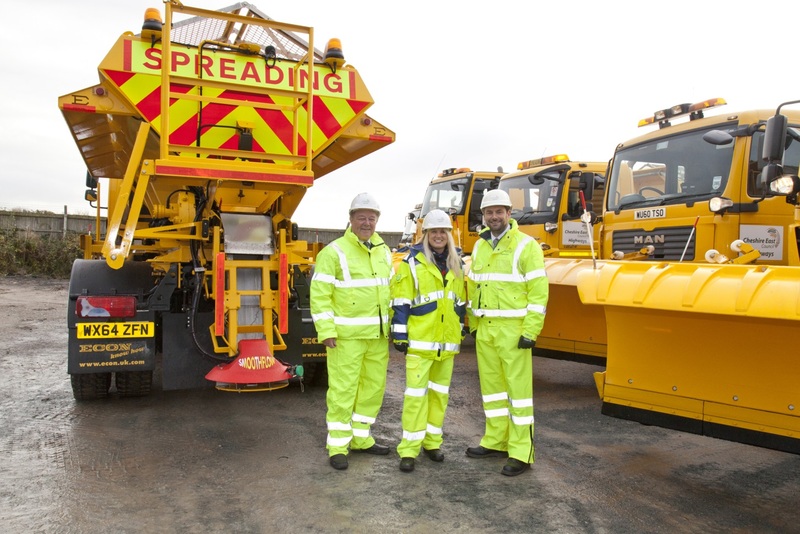 Cheshire East’s gritting teams are ready for winter! Cheshire East Council’s highways teams will be working around the clock this winter to keep the Borough’s roads safe for motorists. The end of October marked the start of the winter maintenance season in Cheshire East. Duty officers are working to dispatch gritters to treat the Borough’s road network in response to any winter weather conditions. Cheshire East highways teams treat a total of 1,090km of primary roads across the Borough’s network. Gritting takes place on a precautionary basis to stop ice forming and snow is dealt with using specialist equipment such as snow blowers, all-terrain quad bikes with attachable snowploughs and towable gritters for footways and roads with restricted access. Cheshire East staff work closely with neighbouring authorities to ensure that a consistent level of service is provided to roads that cross local authority boundaries. Councillor David Brown, Deputy Leader for Cheshire East Council and Cabinet member in charge of highways, said: “We will be continually monitoring weather conditions throughout the winter months so that we are ready to deal with snow and ice on our main roads. Our gritter drivers will be out in all weather conditions to keep our highways as safe as possible. Gritting routes, salt bin information and tips for travelling during winter can also be found online. Gritting decisions will also be communicated on Twitter @CECHighways. Cheshire East highways’ team can be contacted by calling 0300 123 5020.